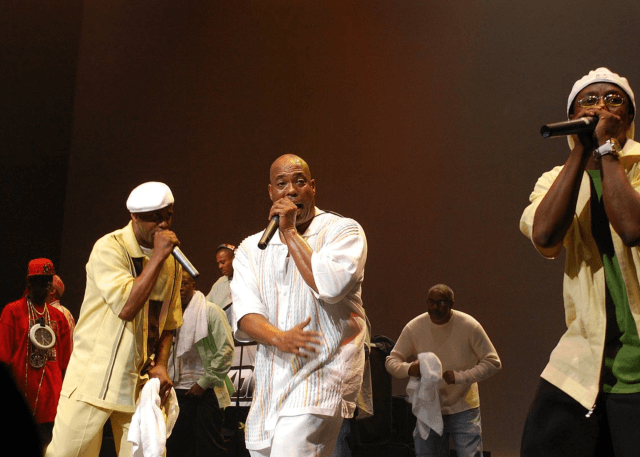 Formed in 1981, hip-hop group Whodini came to prominence in the golden age of the genre, coming up alongside legends of the genre such as Grandmaster Flash, Afrika Bambataa and Warp 9 and influencing generations of later hip-hop artists. The trio is made up of vocalist and lyricist Jalil Hutchins, co-vocalist John Fletcher, and turntablist Grandmaster Dee. After signing with London-based record label Jive Records in 1982, the group released their debut self-titled album alongside the much-sampled single ‘Mr Magic’s Wand’ and the Halloween-themed ‘Haunted House Of Rock’. They followed this with the 1984 album ‘Escape’, a groundbreaking record featuring several highly influential singles that helped to define the limits of the genre. The album sold over one million units on release and was certified Platinum by the RIAA. Whodini followed up this record with 1986’s ‘Back in Black’ and 1987’s ‘Open Sesame’. The group toured with hip-hop royalty such as Run-D.M.C. and LL Cool J throughout the 80’s, appearing on the Fresh Fest tour, the first hip-hop tour to play large stadiums across the U.S. They were the first rap act to tour extensively in the U.K. and Europe, bringing hip-hop across the Atlantic for the first time. Whodini released several more albums throughout the 90s and have continued to tour successfully around the world into the present day. Their influence on hip-hop and rap cannot be overstated: they have received awards from the VH1 Hip Hop Honours and the Underground Music Awards, in addition to being sampled by legendary artists such as Dr. Dre, Nas, Master P, Will Smith, and MF Doom.